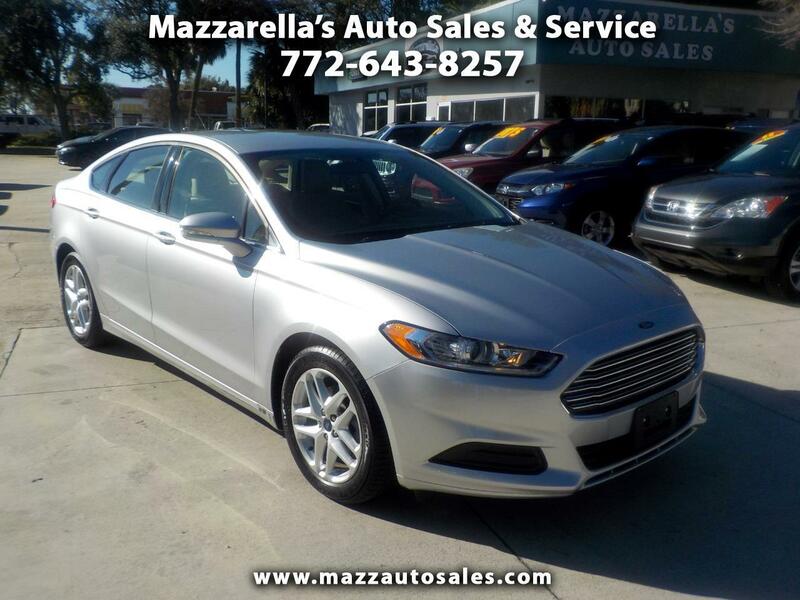 The 2016 Ford Fusion plays up its sporty handling, good fuel economy and roomy interior that accommodates 5 passengers. The fuel-efficient Ford Fusion also comes with a five-star safety rating and uniquely seductive interior and exterior styling. This only has 3,000 easy miles on it. As close to new as you can get, but without the high price. Save thousands versus new. It's a "One owner" local Vero Beach car with no accidents. Has balance of all factory warranties. Has nice features like Bluetooth hands-free calling, back-up camera, power seat, and alloy wheels. Come check it out today!